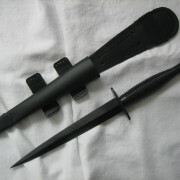 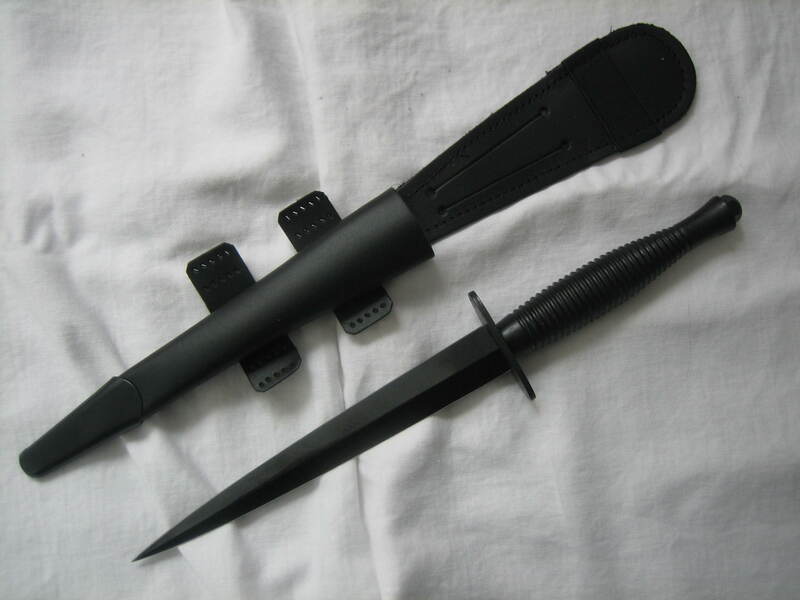 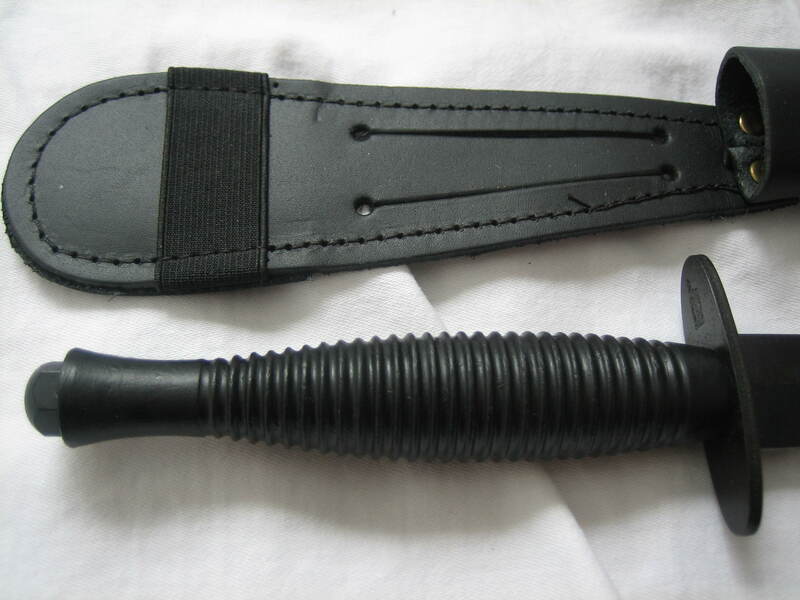 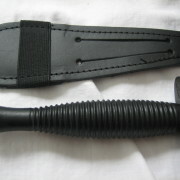 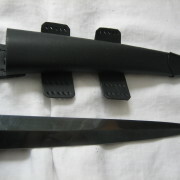 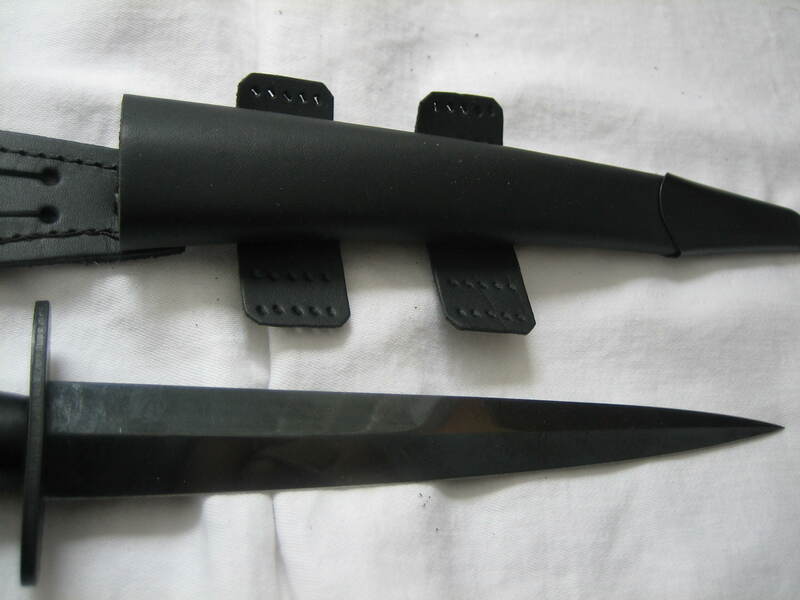 Black Carbon Steel Blade, which is very sharp, Metal alloy handle, black leather Leg Sheath which can also be fitted to a belt, Cross guard stamped with our trademark and logo. 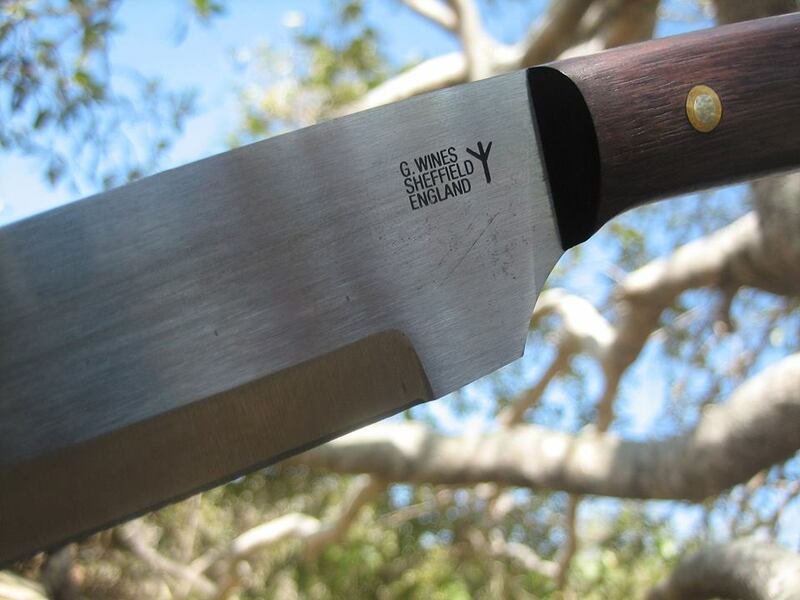 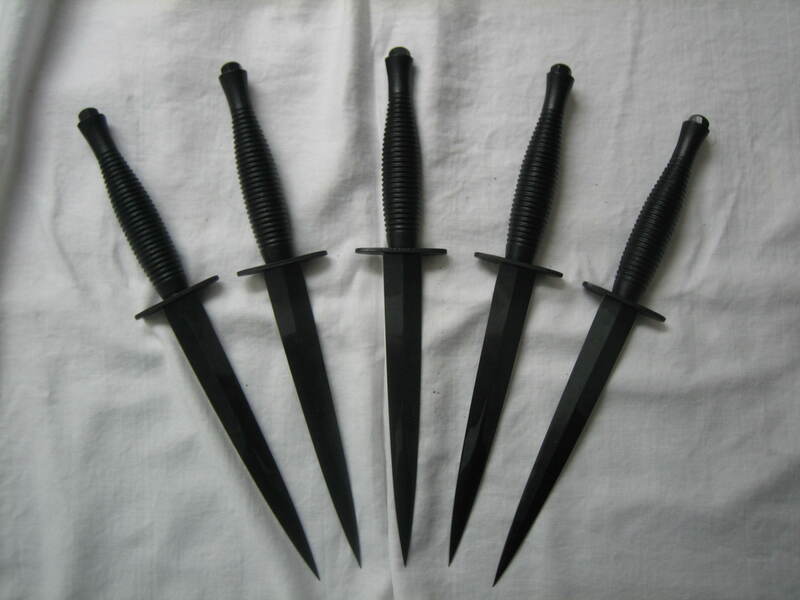 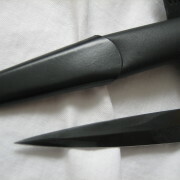 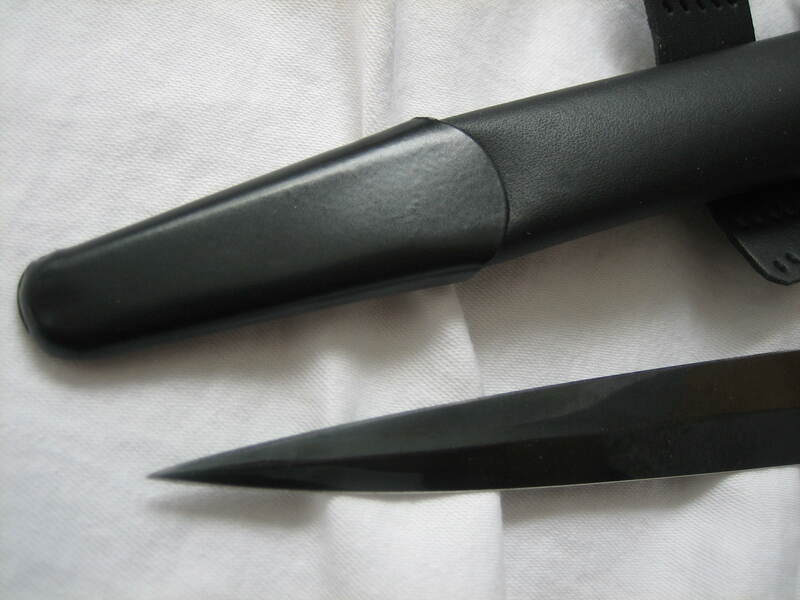 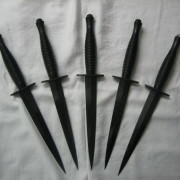 These knives are not hand made they are factory produced. 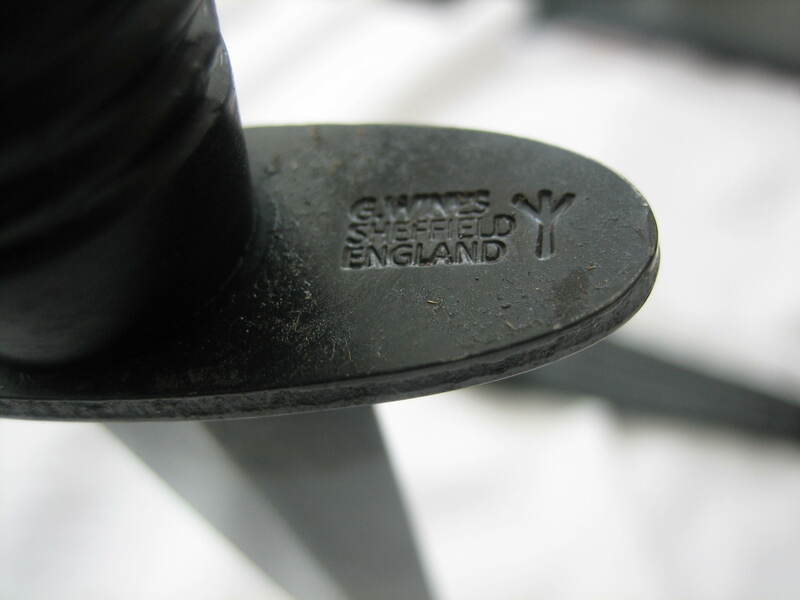 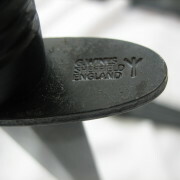 Made in Sheffield,England.